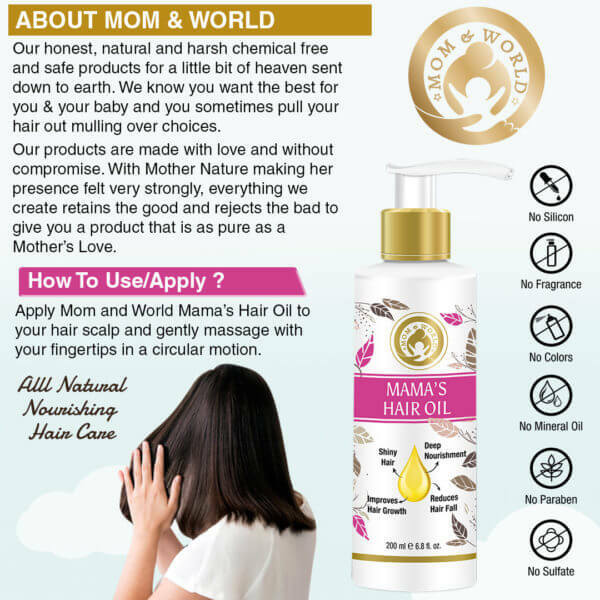 Mama’s Hair Oil has all the natural goodness that gives hair bounce and luster. 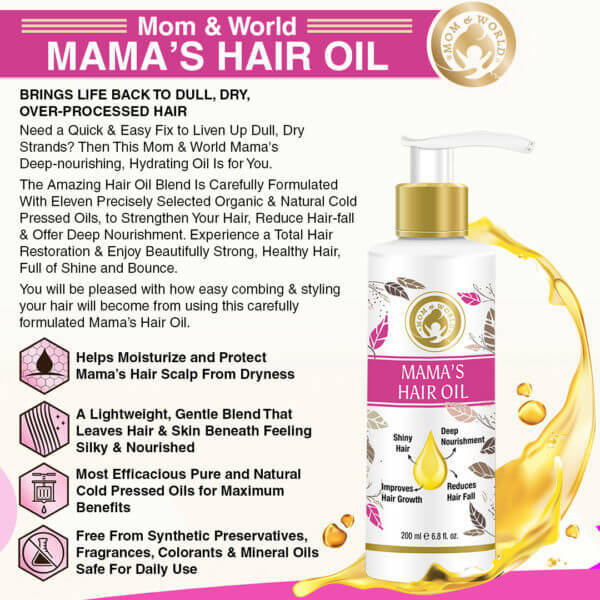 This oil is rich in natural and pure cold pressed oils and is considered to be one of the best, to nourishes the hair follicles with vitamins and minerals. 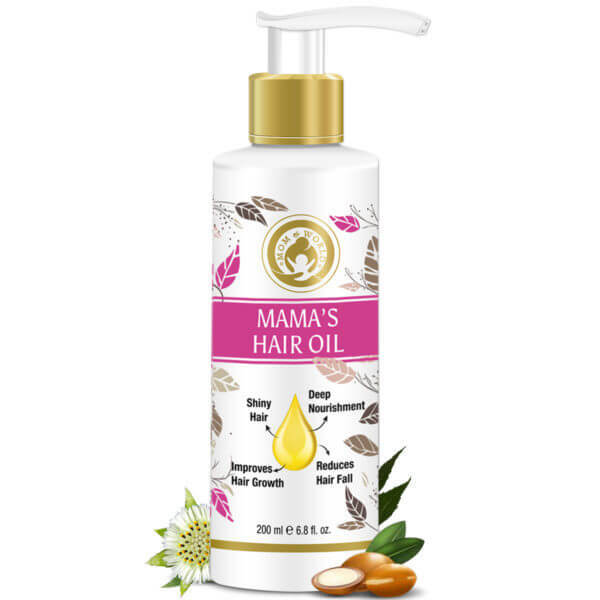 Mama’s Hair Oil helps to hydrates the scalp and assists in the growth of new and healthy hair. Specially formulated, this revitalizing hair oil contains no artificial components and mineral oil and gentle in nature. 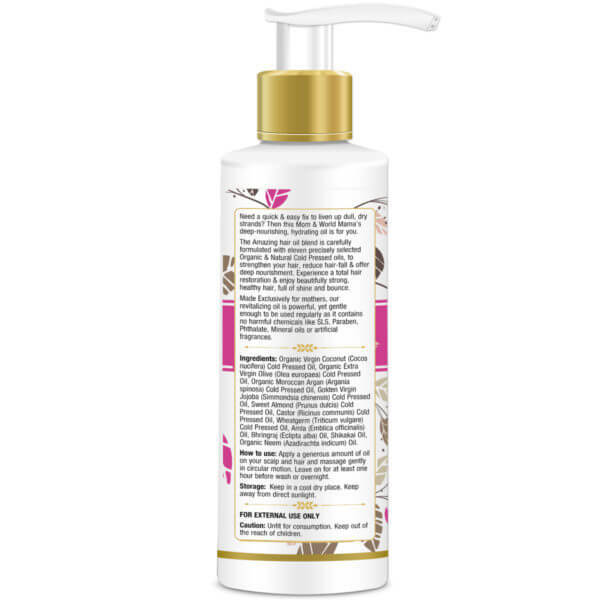 The oil is formulated for the dry and frizzy hair and for reducing split ends. Regular application of this oil helps to restore the hair’s softness and reinstate the lost radiance of the hair. This mild and light oil is very effective for daily use. 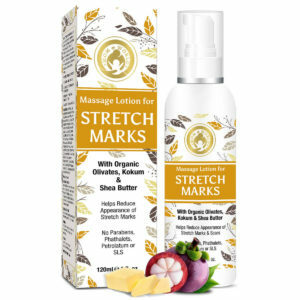 The oil has no chemical content and is free from SLS, phthalate, paraben, artificial fragrance and mineral oil. The oil is meant for all types of hair. 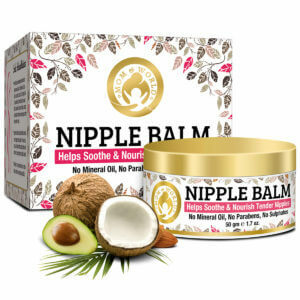 The oil is a blend of carefully selected eleven organic natural cold pressed oils. This hair oil is known to strengthen the hair roots and shafts. As a result, it helps reduce hair fall and provides deep nourishment to the roots and scalp. Application of this oil is known to aid the hair restoration process, giving you back the beautiful strong and healthy hair. This is safe for daily use. It helps in moisturizing the hair shafts and the scalp. This oil absorbs easily. It fights hair damage and is good for the dry and rough hair. The oil could add shine to the hair. 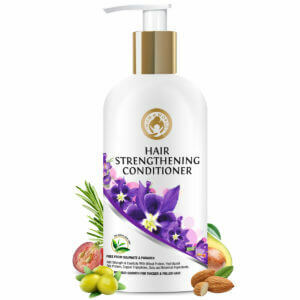 It nourishes and strengthens the hair. It helps to reduce hair loss and hair damage. It protects the hair from dryness and flaking and is known to promote the general immunity of the hair health by nourishing the scalp. It helps detangle hair. 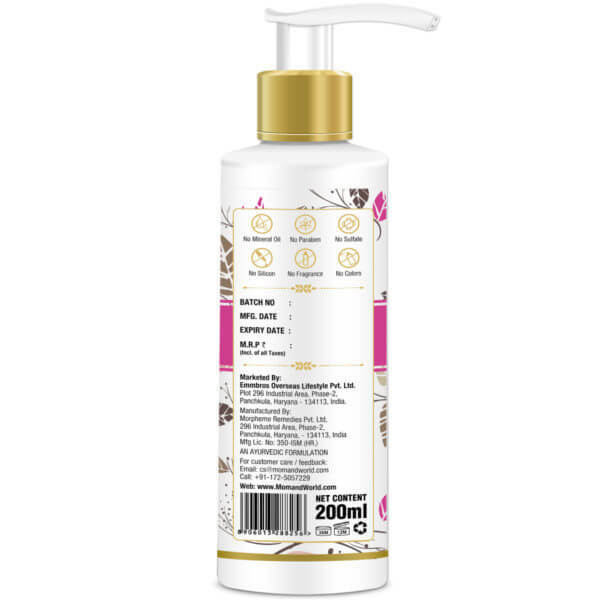 It acts as a scalp conditioner and thereby aids hair growth. They increase luster and enhance the volume of the hair. 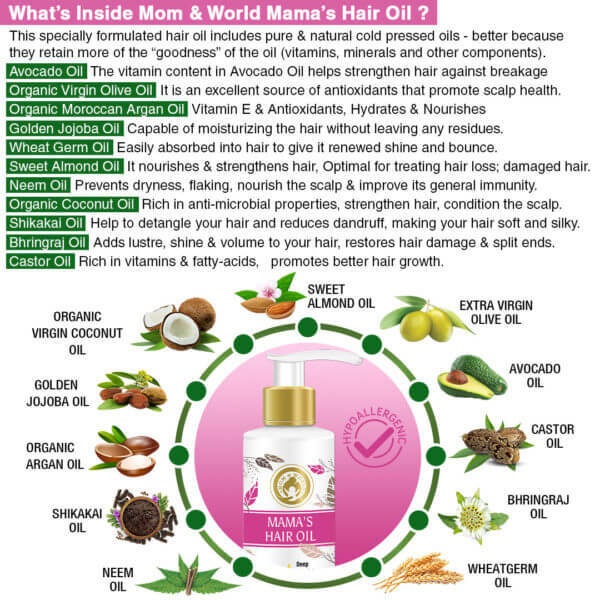 The oils help to restore the health of the damaged hair. Apply a generous amount of oil on your scalp and hair and massage gently in circular motion. Leave on for at least one hour before wash or overnight. Organic Extra Virgin Olive (Olea europaea) Cold Pressed Oil, Cold Pressed Oil, Golden Virgin Jojoba (Simmondsia chinensis) Cold Pressed Oil, Sweet Almond (Prunus dulcis) Cold Pressed Oil, Amla (Emblica officinalis) Oil, Bhringraj (Eclipta alba) Oil, Shikakai Oil, Organic Neem (Azadirachta indicum) Oil. My hair is gradually regaining its health after using this hair oil daily. It helped in reducing excess hair fall. Supporting hair growth.